Civilization has overtaken the land masses of Earth. Every metal has been mined, every fuel burned, every resource used. The exploding human race must cannibalize its own structures in order to make one last, desperate attempt to survive. “Orange” was a Notable Online Story finalist in 2010 for the Storysouth Million Writers’ Award. Read a review of “Orange” after the story. I use a stop-action camera to film an orange. The result is always the same. First, I remove the previous orange from the spike in front of the black velvet backdrop, and replace it with a new orange. I set an incandescent spotlight out of frame as a light source. By At four o ‘clock in the morning, when the explosions were fewer and some dozed on the step, Spacecorp’s main door opened briefly. She, and a couple of dozen others, managed to squeeze in without being trampled before the door locked. She kept her feet beneath her in the rush for Reception. By holding her elbows at her sides she could still breathe when the crush formed again by the doors on the far side of the lobby. Others around her must have overheard, because the throng surged forward in panic. She tried to work her way toward an open space near the wall. A fist fight broke out beside her. The wild-eyed boy to her right was knocked to the floor, and she almost fell onto the heap of bodies. Someone–a man–grabbed her hand and yanked her through the momentary gap the distraction had caused. She clung to his fingers as he pulled, her shoulder popping in pain. A small price to pay for survivial. The surge pressed forward, but the man levered through the mass of bodies to get a hand behind her back. He elbowed someone’s face and propelled her ahead of him. Her jaw squashed into a shoulder as he reached around her waist and grasped the door frame. Pulling himself against her, he thruste them both through the narrow gap into the tiny office with a wave of other people. The handful who made it into the sanctuary turned back on the fists and legs clawing to join them. Instead of helping them, he shoved her forward, crowding the clerk’s desk. Uniformed Security scrambled into position behind them, batons locked in place, forcing the crowd back and barricading the door. Thumping, cries of desperation and panic thrummed through the walls, through the door that–even against their combined weight–still held. She whispered fervent thanks. Out there, bones crunched. Out there, the smaller ones, weaker ones like her–were crushed under foot. I look through the lens. The orange is round, with faint ridges in its waxy surface. It looks juicy, sweet. Its fragrance promises a world of nutrients, sugar, energy, minerals. A feast. A treasure. There is no hint of any spore on its surface. Yet, the void around it is not empty. At this scale, motes in the air are invisible. Jacob shoved her forward, bruising her thigh against the desk, past the guard’s rank armpit and through the glass turnstile. Miriam tumbled into sudden space and quiet. This room seemed to exist in an eddy in time, a pastel green sanctuary untouched by the chaos of the world. Gentle, forgettable music washed over them. Shaded lamps from a lifetime ago shed soft pools of light on plastic chairs and laminate tables scattered with magazines. A plastic plant stood in the corner. Other young couples like them, bruised and bewildered, milled about, able at last to breathe. Jacob guided her to an empty seat near the door at the far end of the room and she collapsed into it. A man beside her laughed hysterically at the huge joke of his survival. A woman on the far side of the room shook with tears as her husband distractedly stroked her arm. Another man appeared insanely calm, reading a newspaper–yesterday’s–with his leg crossed, while his wife stared into space. Jacob sat on the planter beside her, disheveled but outwardly quiet. The orange has been sitting beneath the hot lights for some time. My camera picks out a pale place on the lower surface of the skin, where the spike has impaled pulp. See how the juice winds down the support, where the peel has pulled back from the wound? The smell is stronger, now. A colony of fungus, a gray fuzz, has appeared in one place, and a black, greasy powder ring has sprung up on the other side. They look as though they would be soft to touch. The orange is still full and ripe and round, and the colonies are thriving. A bank of windows lined one side of the corridor. Couples, clipboard-ridden clerks, scientists in lab coats, ran in both directions, their faces the color of fear. A sub-auditory thud shuddered through the building and the floor tilted to a crazy angle, sending them skidding into the windowed wall. “They’ve cannibalized buildings for steel, for the pods and the launch pads.” Jurek scanned the signs for directions. A good portion of the surface is covered with thriving fungus, now. Some patches of orange remain, and the air is ripe with its sweet smell. The fungus drains the fruit of its nutrients, and continues to build gray and black and blue structures over the disappearing surface. “Suicide pills?” Japinder held out a hand for the doctor’s monitor. “No. Not enough pods. I’m too old. The program needs reproductive couples.” She found a comb and worried away at the tangles above her brow. “What will you do?” The instrument signaled Mandira’s acceptability. The surface of the orange is no longer visible. The colonies intermingle, blurring boundaries of color. A depression has formed at the base, where the spike supports the orange, and the juice has been flowing freely. The air is rank with the smell of rot. He pointed to two chairs. Macy sat, but James stood, shifting from one foot to the other. For a moment, Macy couldn’t make her feet carry her forward, couldn’t move. Then the moment passed, and she followed James to the gleaming machine. She stepped into the pod and adjusted her seat. “The control panels are all labeled. The only one you need to know is this one. Instruction VRs. You won’t need them until you wake up.” He adjusted the restraints, and Macy felt a rush of adrenalin. She had an overpowering urge to bolt from the box. “Don’t think,” James told her. She wasn’t sure if he meant it for her or for himself. The orange, if it can still be called that, is no longer round. Cavities have appeared in several places and now I can see that it is no longer mottled with color, but has a uniformity, with black the predominant shade. I zoom in on long towers of spore stocks which stretch questioningly toward the dark. Style defines Susan Forest’s Orange almost as much as its content. Rather than follow a single protagonist through the end of the world, the story is a fusion of a half-dozen pieces of flash fiction. These smaller narrative units are connected together through the exposition of a photographer who produces time lapsed images of an orange impaled upon a spike. Trust me, it’s not as complicated as it sounds. Although the format is unusual, it offers a uniquely cohesive story in relatively few words. As I already mentioned, Orange is a story about the end of the world. 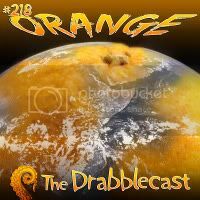 Although the details of this particular apocalypse are limited, the relationship between The Earth and “The Orange” offers ample back story. Within the text, Orange presents snapshots (my words are chosen specifically to fit in with the motif ) of would-be survivors who have taken temporary refuge in the offices of a fictional multinational called SpaceCorp. I’ll let your imagination take it from there as further details would spoil the story. Despite the brevity of these snapshots, Orange is remarkably nuanced. To call Ms. Forest’s writing rich and evocative is to commit a crime of understatement. However, it’s not just the details that make this story work; the very structure of the text is essential to overall experience. Short narrative chunks add a consistent sense of urgency to the story, even when characters find a reprieve from the anarchy of armageddon. In keeping dialogue terse and descriptions to a pithy minimum, the tempo of the story is similarly accelerated. Such natural pacing happens without the use of extreme violence, immediate doom or other such tropes in the arsenal of plot hastening. Rarely do I find a story offering so much depth for so little investment. Of course, that usually means the story’s imagery is going to live in my head for a while. In this instance, I’ll roll out the red carpet. I find myself wanting to return to the relationship between The Earth, “The Orange” and the photographer. There’s a certain perfection in having decaying fruit as an analogue to the Earth; the symmetry says so much without having to say anything at all. However, the photographer, the voice that connects the narrative bits together, oozes subtext. It’s taking every ounce of my writer’s discipline to avoid turning this review into an exercise in literary deconstruction and analysis. Come on, you know you want to hear me wax poetic about textual nuances, right? Wait, where are you going? Don’t leave. I’m just kidding, I promise, I’ll behave. With an abundance of books and movies jumping on the apocalypse bandwagon, it is wonderful to see a story that taps into popular culture without depending on popular tropes to tell a story. Although Orange’s format is a little more challenging than some other pieces of short fiction, it is absolutely rewarding for those who give it a few minutes worth of thought. The full text of Susan Forest’s Orange can be found on AE: The Canadian Science Fiction Review. Here’s the link.